Community registers of biodiversity and traditional knowledge provide a way of recording a community’s biocultural heritage. Argumedo and Pimbert (2006) define an Indigenous Biocultural Heritage Register as: “a database into which indigenous peoples put information regarding key components of their indigenous biocultural heritage—particularly those resources threatened by biopiracy—in order to gain legal rights relating to that information”. In the past, researchers documented traditional knowledge and then took the information away for outside use. By contrast, community registers are for community use, so communities themselves design and conduct the documentation and control the knowledge. to enhance communities’ negotiating capacity, for example over benefit sharing from bioprospecting. Registers can provide proof that communities own the knowledge that an external actor has claimed rights over (ie proof of ‘prior art’). However, the notion of ‘prior art’ assumes that the traditional knowledge is in the public domain and so cannot be protected. So some people prefer to use registers to assert community rights by strengthening collective control and management of knowledge as community ‘commons’. Communities are increasingly developing registers as computerised databases. One advantage is that they can hold video clips and photos, which are more accessible to illiterate community members, and which ease transmission of orally held knowledge. Multi-media databases can make the process of information gathering and recording highly participatory. Digital information can be protected through software which restricts access. It can also be shared electronically, eg. with other communities, or with national or international databases. Customary laws can inform the design of database registers, alongside modern technology, together meeting the principle of duality. To reflect and strengthen the integrated nature of biocultural heritage, database models can be designed to accept additional sub-fields. While the main focus of registers is usually biodiversity and traditional knowledge, they can also include sub-fields with information about cultural and spiritual aspects (eg. songs, designs, ceremonies), customary law, economic, landscape and ecological aspects, and scientific information. This data can be used for computer modeling to help understand biocultural systems and how a change in one component will affect the others. But computers also have some drawbacks, eg. they require access to electricity and are energy intensive. 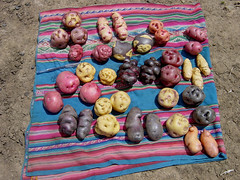 A database of potato varieties and biocultural systems became necessary to hold the information collected by communities through action research. The database uses free (open source) software to administer data entry, access and use, since this is compatible with customary practices of free and open sharing of knowledge. The free software DRUPAL platform is creating a database based on three Andean principles of reciprocity, duality and equilibrium. The database also uses GIS technology and audiovisual equipment for recording resources and knowledge. The community evaluates resources identified for registration using a Yapana matrix tool, which establishes the specific uses of the resource (medicinal, food and ceremonial) and determines the level of protection needed. Community access is regulated based on customary law, taking account of residency in the community, status, gender and customary role. External access is regulated by a three-level security system. ‘Green’ information is accessible to anyone, provided the rights of Quechua peoples over the traditional knowledge and resources are fully recognised and benefits from their use are shared. ‘Yellow’ access is conditional on receiving prior informed consent. ‘Red’ information is not accessible to external third parties, but only to select Quechua individuals. The register does not store sacred or secret knowledge. Assisted by the NGO Asociacion ANDES, the Potato Park communities recently entered their database into the Multilateral Systems (MLS) of the FAO Treaty on Plant Genetic Resources for Food and Agriculture. The MLS is a global access and benefit-sharing system for crops important for food security and breeding. This is the first time that a community collection has entered the MLS, recognizing the important role of communities and landscapes in genetic resource conservation. The rights of the communities over their collection is already secured under their agreement with the International Potato Centre, which also forms part of the MLS. But being an independent part of the system can allow the communities to participate in shaping the terms for access and benefit-sharing. 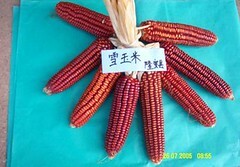 Example: Community plant genetic resource and traditional knowledge registration in South West China. 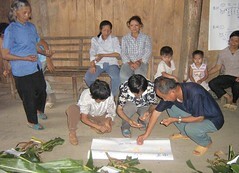 In 2005, plant genetic resource collection and registration started in villages working with a Participatory Action Research programme run by the Centre for Chinese Agricultural Policy in South West China provinces. The register is a computer database maintained by farmer facilitators. Every August, farmers in the villages renew the genetic resource and traditional knowledge information, and photos of genetic resources are saved in the database. These activities give farmers access to diverse resources. For example, at the beginning of the project, farmers collected wild medicinal plants and related traditional knowledge only to document them. But after several seasons, they planted those medicinal plants in their home gardens, for self-supply and farmer-to-farmer exchange. This local response has strengthened genetic diversity and knowledge systems. Farmers can monitor and react to changes in plant genetic resources and traditional knowledge. The database also helps communities educate younger generations. Protecting indigenous knowledge against biopiracy in the Andes, Argumedo and Pimbert (2006). Protecting community rights over Traditional Knowledge. IIED and Partners' Workshop, Burnham Beeches, July 2009. Protecting community rights over Traditional Knowledge. IIED and Partners' Workshop, Panama, November 2007. Also in Spanish.